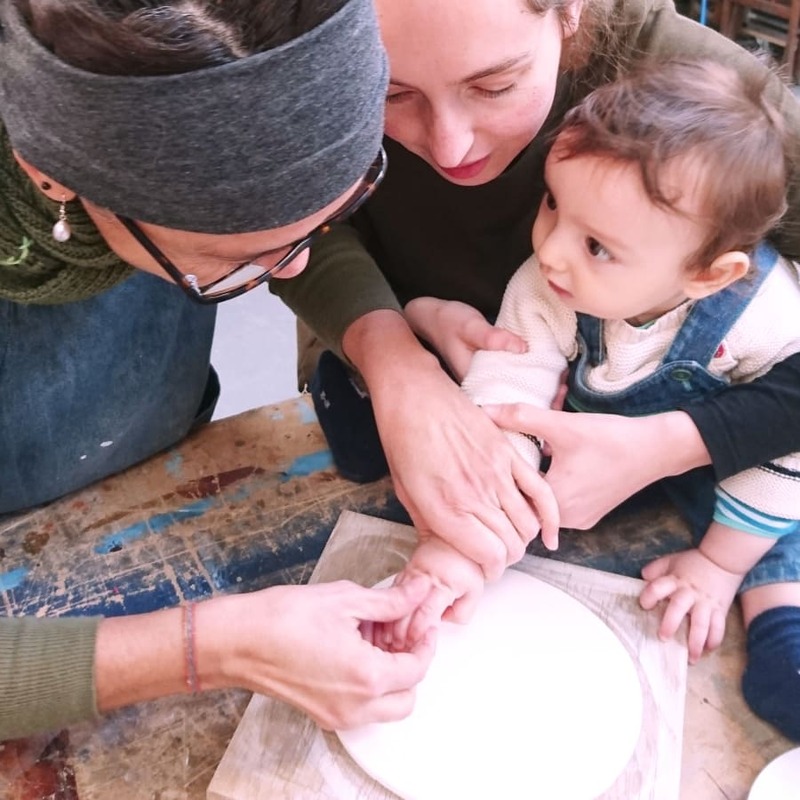 Ceramic Keepsake Plate Workshop for parents. You will imprint your baby/kid feed and hands to keep memories forever. “Time flies” is especially true of precious baby moments. But before they fly away forever, we can capture something of that loveliness and preserve it a little bit longer on a Keepsake Plate. 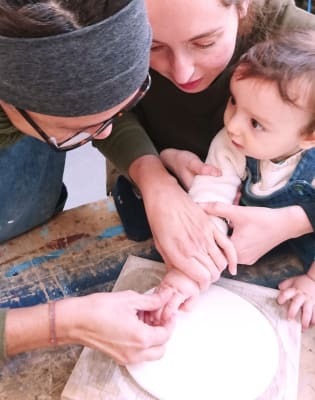 Bring your beautiful baby to this workshop and I will help you make a keepsake of your baby’s little feet or hands imprinted onto a clay plate. I will set up materials in a way that will be easy for you and your baby to follow the process. I have experience on a previous workshops with parents and babies and I know there are moments that the little ones could be more demanding and difficult to handle. I love babies, I am very good with them so if you need 2 more hands to help you I will be there for you. A huge recommendation and thank you to Yanire for her patience, encouragement and skill at her keepsake ceramic plate making workshop at Homemade community cafe in Higham hill park Monday. A lovely afternoon of crafting for my daughter and myself...an activity not just for babies. It was a lovely session! Sylva was lovely and very helpful. My baby and I had a beautiful time and the plate looks great! A really fun workshop to do with your baby. 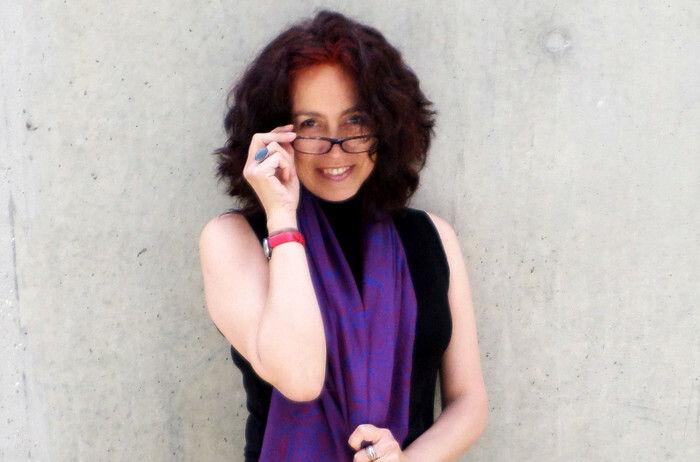 Yanire is great at handling the babies and advising and helping with your creative ideas. The plates all looked great. 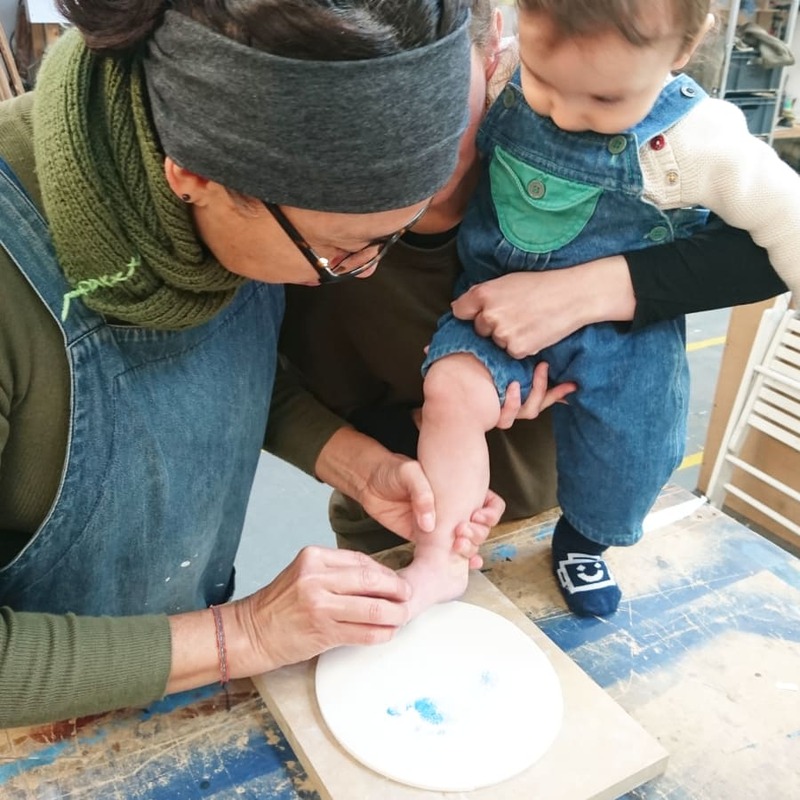 I will use underglaze ceramic paint to imprint your baby's feet and hands. There will be plenty of wipes and toilet facilities to change or wash your baby if you need it. Plates and other materials for decoration are provided. Once the plates are glazed and fired, they will be ready for collection within a week in 2 weeks from my studio at Blackhorse Workshop, 1-2 Sutherland Road Path, London E17 6BX.This workshop is advertised as 'Anytime classes' which means that you choose the location for the workshop. If you want to me to provide the location it will be in Walthamstow and most probably at The Mill, E17 7HA. Feel free to contact me if you are in doubt at yaniresd@gmail.com.